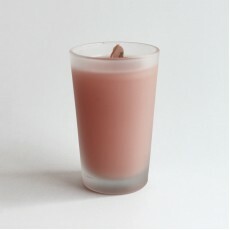 Scented candle in a glass jar. The Coconut Milk Mango fragrance is a tropical fusion of mango and fresh coconut milk. Packaged in a thick, clear glass with an apothecary profile, these bold and colorful jars will add fragrance and glamour to every space. 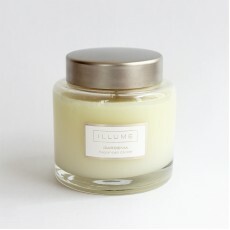 Filled with Illume's best proprietary food-grade paraffin wax.